White Mountain was started in September of 2008 and is one is the fastest growing distributors and packers of sugar both domestically and globally. Our sales offices are located in New Orleans LA, Atlanta GA, San Francisco CA, Wisconsin, Chicago and New York NY. White Mountain's rapid expansion has evolved through continuous professionalism in sales, service, and expertise in processed sugar through the refinement of sugar cane. All of our products throughout the global market are sold in various quantities ranging from container loads to vessel loads. We outsource from Mexico, Brazil and Columbia, and service North America, Europe and Asia with refined, confectionary, organic, and brown sugars. In the United States we specialize in Mexican sugar by offering various pack sizes and multiple varieties. We allocate our product from our warehouse in Laredo, Texas to the East Coast, Mid-West, and West Coast of the United States. We service the entire country and usually are able to fill orders within 7 days. 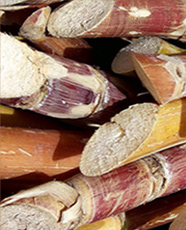 Brazilian sugar is also available as we have begun expanding into the global market with Icumsa 45 refined sugar. The Brazilian product is available in vessel loads of 12,500 MT, 25,000 MT, or 50,000 Metric Tons. Containers are available to ship overseas as well as High Seas and Quick Load Sugar for emergency needs. Our products that derive from Mexico, Brazil, and Columbia are processed under the highest International quality standards and carry HACCP and AIB Certificates. All of our products are Kosher Certified.